Wherever you are, there you are. As trite (yet true) as this might be, if you are a local business, you want the world—or more importantly your local consumers and customers—to know exactly where “THERE” is. Enter Local SEO. SEO is SEO is SEO. Right? Not exactly. Local SEO does what the name suggests. Based on what customers are searching for, Local SEO matches them with businesses nearby based on their current geographic location. 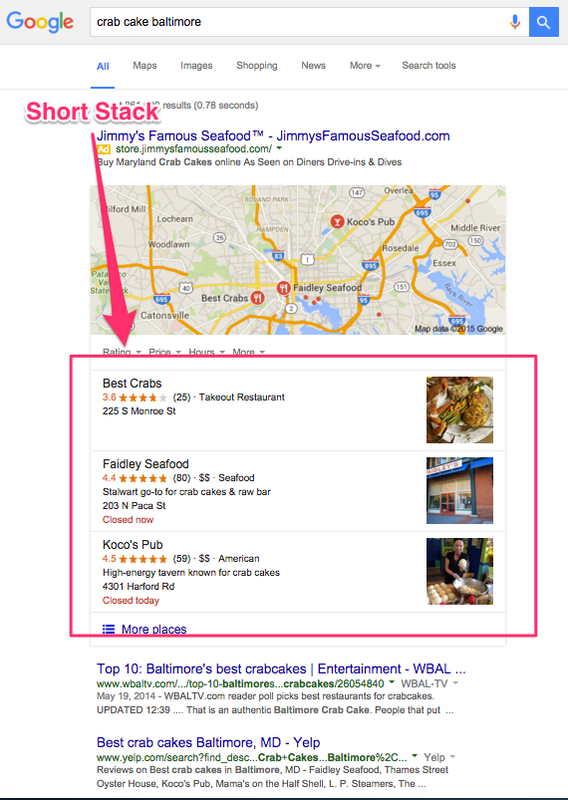 So, if you are in Baltimore, MD and you want a crab cake, your search will show you where to get said crab cake in the Baltimore. 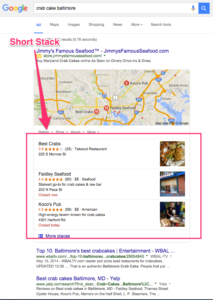 And if you are the owner of the crab cake shack and have well thought-out local SEO strategy, the more likely you are to be one of the crab cake restaurants in Baltimore, MD that shows up in the hungry crab lover’s search. Keep it consistent. Ensure your contact details—Name, Address, Phone Number (NAP) —appears the same way 100% of the time. Choose your business/service category wisely. Be photo heavy. Of the quality, hi-res variety. Use local, not 800, phone number(s). Schema-enable your contact details. Help those search engines to show your business info accurately. Business hours and hours of operation. Get them in (if applicable). Reviews. Get them from your customers. A lot of them. Make sure they are (mostly) good if you can manage it. If you need more, there’s always the 17-point Local SEO Audit Phase 1: Google My Business page Moz article. Although many similarities do exist, the notable difference between “normal” (National) SEO and Local SEO is geo-targeting. Based on the data you give Google, customers within a range of ZIP codes at an available distance from your location (usually up to 100 miles) will see your ad versus having your Search Results Listing shown to users across the nation. Local means just that. If your conversions and ROI depend on a 100 mile radius of a particular spot on a map, then you will want the spot to be well noted. 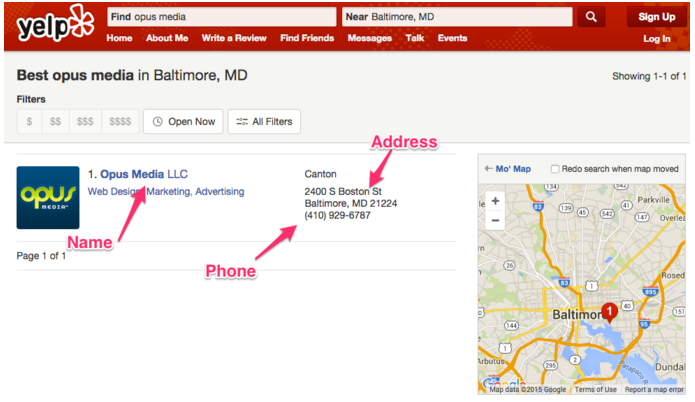 Get granular with your location. Delve deeper, and go as far as down to the neighborhood in which you’re located. Have the Right Stuff — keyword density and natural-looking and placed synonyms for your “money” keyword are still important. But keep in mind that gumming up the works by overstuffing keywords isn’t looked upon kindly by Google. 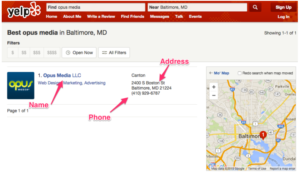 A citation is anywhere that your Name Address Phone Number (NAP) is listed online using the same format as your own local listing. Caution—when setting up your citations, ensure that they match your local listing exactly as far down as abbreviations used and the way your telephone number is displayed. 123 W. 123rd St. shouldn’t be 123 West 123rd Street on another site. Keep it consistent. Another consideration is that once you have identified where your citation is best served is that you will have to fill them out. One at a time. There are data aggregation services (like Yext, Infogroup, Factual, Axciom, Neustar Localeze, and Moz Local) that will fill out the form and then place them for you with affiliated partner sites. Using services like Yext to manage your listings can ensure you are consistent. Opus Media is a Certified Yext Reseller and can set you up with a Yext account and help your business get the most of your Yext account. Why are citations important? Because they comprise a significant portion of a business’s ranking factors for local SEO—as much as a quarter of them actually. Getting citations (and maintaining them) is not a simple task. You will spend a lot of time doing it. And if you get it wrong, it can be time consuming to fix. Backlinks are great. Backlinks let the world (read: Google—which is your world) know that you—and your stuff—have been noticed and that you are relevant and useful. And this is especially true for local SEO efforts. The nature or quality of the domain (and/or page) authority of the backlinks you shoot for is always important and weighs heavily in your SEO efforts—one quality link is the sum of many lesser links. Some sources suggest, however, that this might be slightly less the case for local SEO. Local backlink authorities don’t have to be as strong or high as they are seen as earned, not bought, validating your business as a viable (and linkable) part of the community. Search Engine Land has a nice article about local backlinks and how to get them. The best approach is in the middle. There’s a good chance that your main competitors in the local SEO sweepstakes have also identified the heavy backlink hitters and are on their radar. The trick becomes to unearth those local backlinks that others may have missed and add them to your backlink profile. This isn’t about a siesta. But if done inconsistently, it can put your business’s search rankings into sleep mode — and as such out of the local SEO-sphere. One listing is enough. Or so says Google. And your customers can end up reviewing the wrong listing. If you have duplicate listings they can be fixed. Here’s a quick guide on how to fix (reads: disappear) a duplicate listing. Choosing keywords wisely—based on your audience or customer’s needs (intent), how much competition there is and the relevance—is of great value and should be given its due consideration. There are a host of tools out there (Robbie Richards has 58 experts rank their top 3) to help you identify, rank or suggest changes for your business’s most effective keywords. In some instances, business owners might not even be aware that they are in Google’s crosshairs or have been dinged for their ranking efforts as a result of improper practices. Falling afoul of Google guidelines will set you back. Staying on top of the ever-changing rules and guidelines is equally as important as the local SEO efforts themselves. If you don’t have any, you will need to get them. These carry some serious heft when it comes how your site is selected by potential customers. The more you have (along with a higher star rating) the more consideration you will enjoy. Yet many businesses fail to solicit them. Google reviews should be the first place you direct your reviewers, but if they have a favorite place to put them, by all means let them review away. If you’re not sure how to get your customers to offer their thoughts, try this Forbes 6 Simple Ways To Get Customers To Review Your Business Online article. Released mid-2014, Google’s Pigeon release tightened up the reigns on local SEO efforts, bringing them closer in line with the larger, national SEO environment. Failure to understand how it has impacted your business’s visibility in local search or how you will need to adjust your current local SEO efforts is at your own peril. SEO titan, Neil Patel, breaks how it has impacted the way you should approach your local SEO in this article. Again with the reviews. If you have reviews on your business page, great. If not, it might be a little harder to get them now than in the past. According to Jennifer Slegg of Moz, the recent changes to the Pigeon algorithm have made getting your first review an undertaking through Google itself. Now the Google+ page (you’ll have to find it first, of course) is the entry point for reviewers. But it makes the process glacial in an environment where nanoseconds are considered an eon in attention span. These are the organic (not paid or sponsored link) results that show up for local business according to your search terms (think Baltimore Plumbers). Yup, and they have changed, too. You may remember seeing seven once upon a time. Well, now it’s down to three. With the amount of searching now done on mobile devices, Google has streamlined the number of local stacks (also known as “snack packs”) so that scrolling is no longer necessary. Whether this is to push local businesses toward sponsored links for listing or simply to cut out the free local ride, the bottom line is, Google has forced local SEO companies (and you) to bump it up a notch. Benefits of An Agency Doing Your Local SEO? There are obviously advantages going it alone. You will have to take into account your appetite for DIY, the aptitude you have for SEO, as well as the time you have for researching the current best practices (because they WILL change). Engaging in Local SEO is, like anything in digital marketing, a process that does not have a one-size fits all approach. An agency will be focused on best practices, the latest developments and have the systems in place to deliver successful SEO campaigns that are fit to your business needs. It is worth a call to an agency to see what you are up against and if they can help. This is perhaps one of the biggest advantages of having ready-made experience and expertise. The process of creating and updating citations alone (if you want to do it yourself) is incredibly tedious and time-consuming. Then there is managing the efforts moving forward. And the reports, analyzing results tweaking and reinventing (if needed). Expertise doesn’t come cheap. an in-house expert comes with a couple of other requirements besides salary. The outsider doesn’t, and will have the same level of expertise and is a good place to start as you build your efforts. Incorrect application of local SEO initiatives can result in a rankings mess that takes a while to resolve. SEO can be a slow moving process. As quickly as you get yourself into trouble, the process to get yourself out of it can prove to be just as slow. Local SEO is a strong strategy with the potential to return a ton a value for businesses who rely on customers with a defined geography. 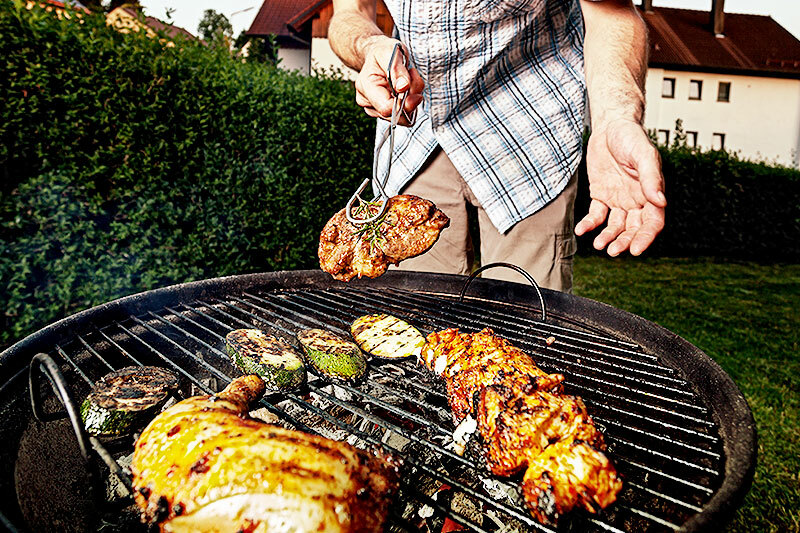 With the right expertise, you could be showing in top results. When done correctly, it puts you on map. Knowing how well you’re doing in local SEO efforts is a good place to start. Using Opus Media’s FREE SEOwebscore Tool—you can see how you stack up in the SEO universe. From there, it’s about making the tweaks or wholesale changes to optimize your online visibility. 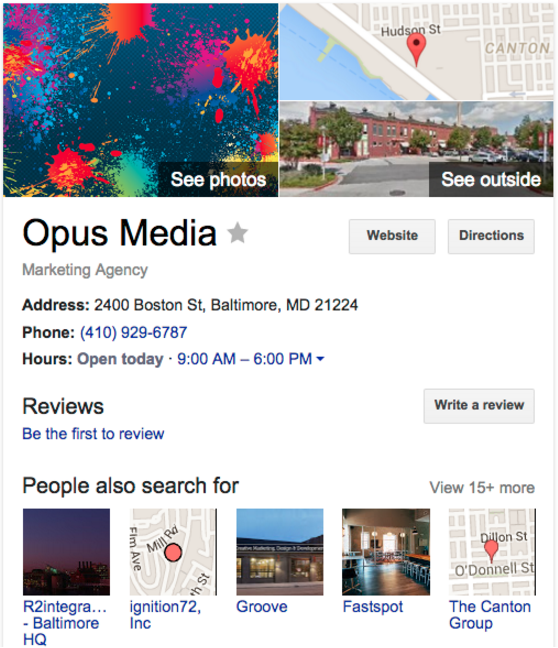 Whatever those “changes” look like Opus Media could help you. We’ve have a great track record of helping local businesses of all sizes across numerous industries get FOUND!